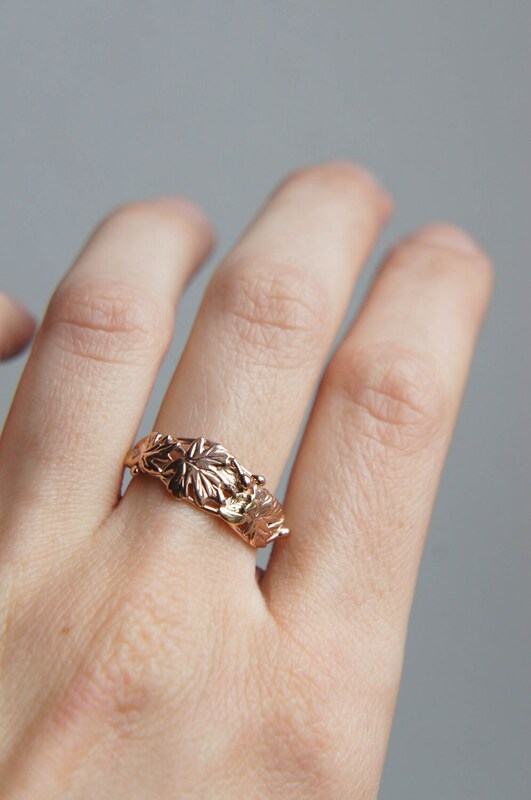 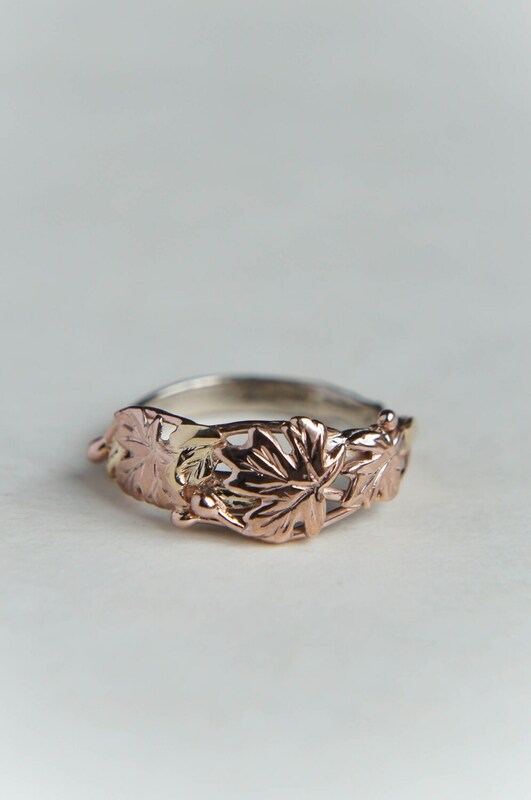 Other maple leaf, autumn branch or different nature inspired unique engagement rings could be custom made by your request. 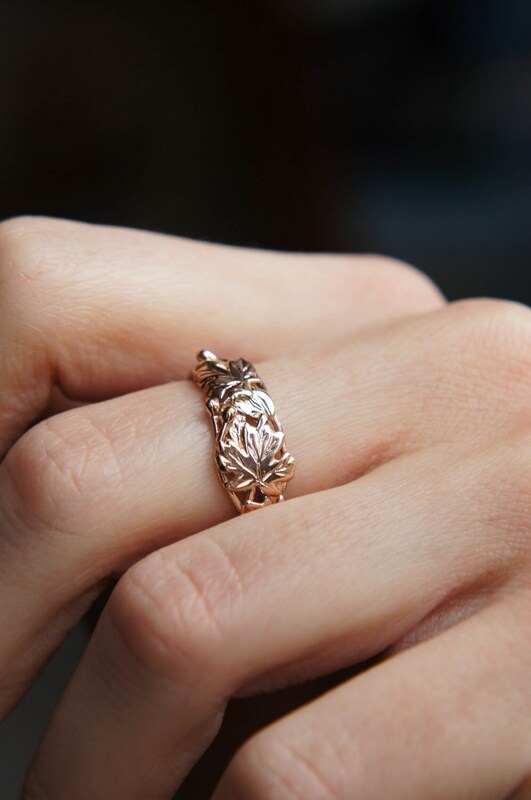 Contact if you have any wishes, we are specializing on custom jewelry orders. 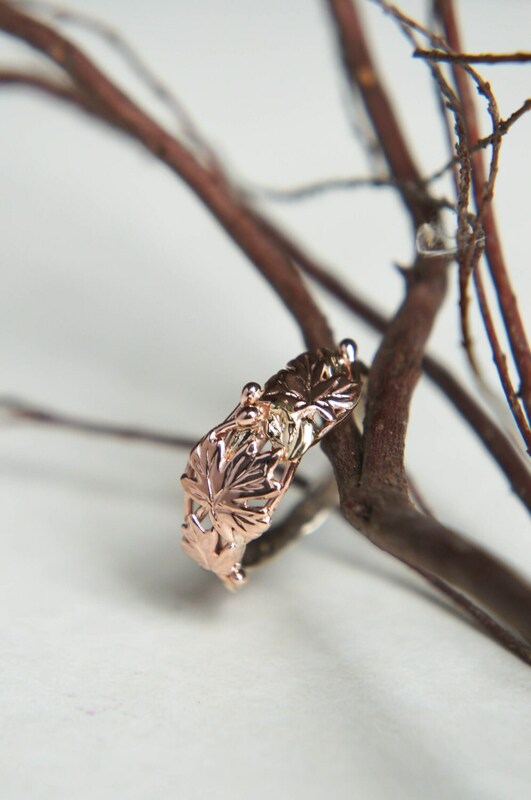 14K rose, yellow and white gold. 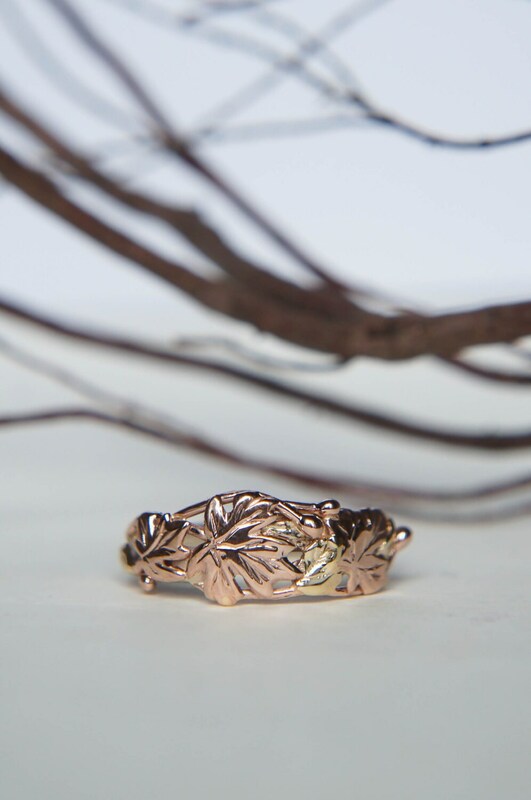 Officially hallmarked.